Tilapia are great to eat. They’re raised as a food fish, and they’re quite tasty. They’re quite popular in restaurants. But the problem is when they’re in our natural waters they are upsetting the ecosystem. 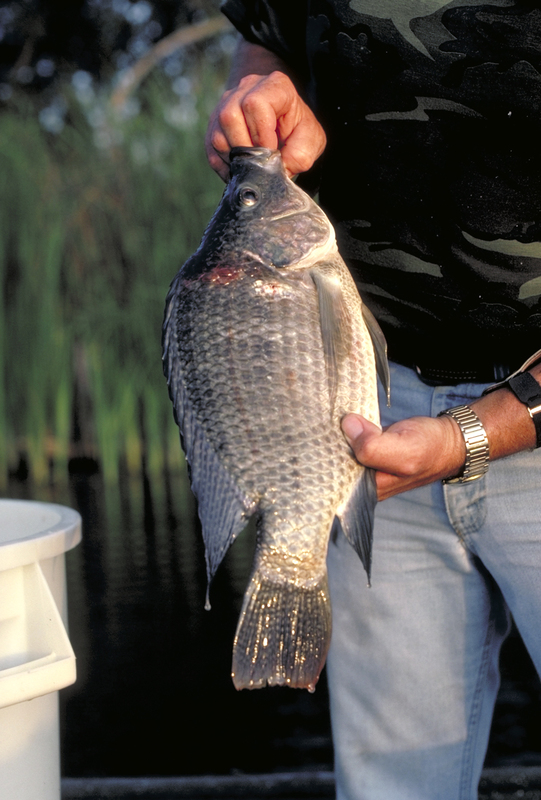 Originally established in fish farms as a food source, Tilapia eventually found their way into Texas waters. Gary Garrett, a former Texas Parks and Wildlife fisheries biologist, says tilapia pose a threat to large mouth bass and other native species. They build big pit nests and in doing that they stir up a lot of the sediment. And it’s been shown, for example, with large mouth bass, all that sediment stirred up and settling back down will often kill largemouth bass eggs. And because of the delicate nature of the food chair, this behavior has the potential of damaging the entire ecosystem. TPW has regulations for tilapia, but because they’re widespread statewide, they are difficult to control. But if you like to fish, Garrett says, there’s one way you can help. Don’t throw them back. If you catch them, keep them. So, next time you reel in tilapia, turn on the grill and get cooking. This entry was posted on Thursday, July 26th, 2018 at 12:00 am	and is filed under Fishing, Food, Freshwater, Texas Invasives, Tilapia. You can follow any responses to this entry through the RSS 2.0 feed. You can skip to the end and leave a response. Pinging is currently not allowed.